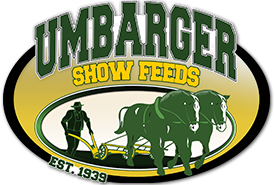 In 2001, Jason Walker joined the Umbarger Show Feeds team after moving from Russellville, Arkansas. 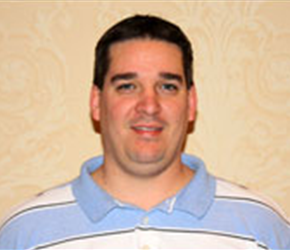 Jason is a graduate of Arkansas Tech University with a degree in Agriculture Business. Jason has an agricultural background and was raised on a farm in Arkansas where he helped with their cow/calf operation. Jason was also an active member in his Future Farmers of America club and he showed livestock in 4-H.
Jason wears many hats at Umbarger Show Feeds. His responsibilities include Retail Sales Manager, Dispatch Controller and Feed Order Coordinator. Umbarger’s is also a grain elevator purchasing corn and soybeans from local growers. During harvest Jason is also responsible for weighing grain trucks and grading grain. In August, 2006, Jason attended Grain Quality School and became a certified grain grader by the Indiana Agribusiness Council. Jason’s strong agricultural background and his ability to adjust to different demands makes him a valuable team player. Jason and his wife, Carrie, have been married for ten years and have a daughter, Taylor. They currently reside in Franklin, Indiana.